An earth shatting opportunity to acquire what we believe to be, for the grade, the single finest '52 Mays we've seen hit any public venue at any point in time. 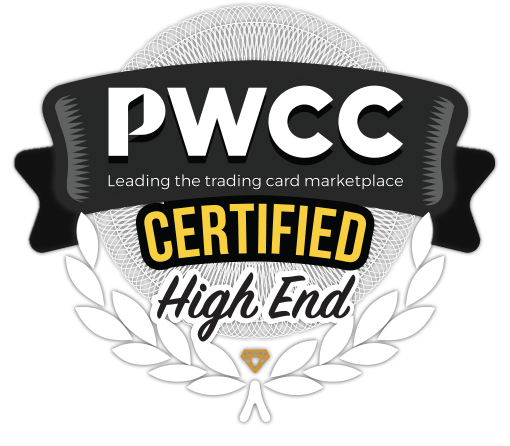 We had the pleasure of brokering a PSA 9 in March 2017 which fetched $235,201 and can honestly say the offered 7.5 has all the eye appeal of that example, and might even be considered superior on a couple sub-categories. An almost dead centered and shockingly fresh example which features flawless surfaces and four pointy corners thorughout. Simply is not clear how PSA arrived at such a conservative technical assessment. We have looked long and hard for an answer and ultimately come up empty. What remains is arguably one of the finest values-for-the-grade auction lots we've brokered in our long history. A world class example worthy of the finest collection. One of over 13,000 cards, lots and sets up for bid in our 5th Auction of 2018. Click on the link above to view the other PWCC auction lots.